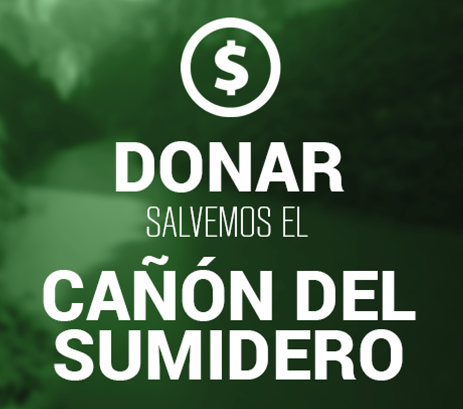 As a proud mexican-based stream, GrizzlyGaming will be supporting the restoration of El Cañón del Sumidero and the Grijalva River. The main goal of this project is to gather, equip and feed up to 120 volunteers during 18 days, to clean the edges of the river and remove wastes that poison the waters and put animals in grave danger. This campaign starts today and will last until August 1st. During this time, we will do a series of special streams to support the cause. In addition to this, the pannels for donation and information about the project will be up until the campaign is over (August 1st). The series will be kicked off with a donation made by GrizzlyGaming to the project. // Wednesday July 19th: "Off-racing for El Sumidero". During the regular 4 hours of StarCraft stream I'll be offracing and doing wacky stuff on ladder with zerg and protoss. NO TERRAN ALLOWED. // Tuesday July 25th: "The 12hr Grijalva Special". From 8:00am to 8:00pm I'll be streaming and playing StarCraft.